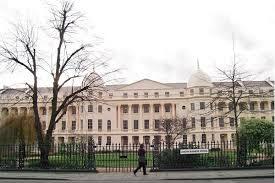 London Business School, we strive to have a profound impact on the way the world does business. Our spirit creates an environment where we support and inspire people achieve their fullest potential. At London Business School, we strive to have a profound impact on the way the world does business. Our communal spirit creates an environment where we support and inspire, helping our people achieve their fullest potential. We challenge how things are done and we teach our students to constantly question and innovate. We believe in providing our students with the most diverse, world-class and rewarding business education in the world.